Bruce Friest asks himself if he would have done it again, knowing what he knows now – move from Minnesota to start a small trucking company during the peak of North Dakota’s oil boom. 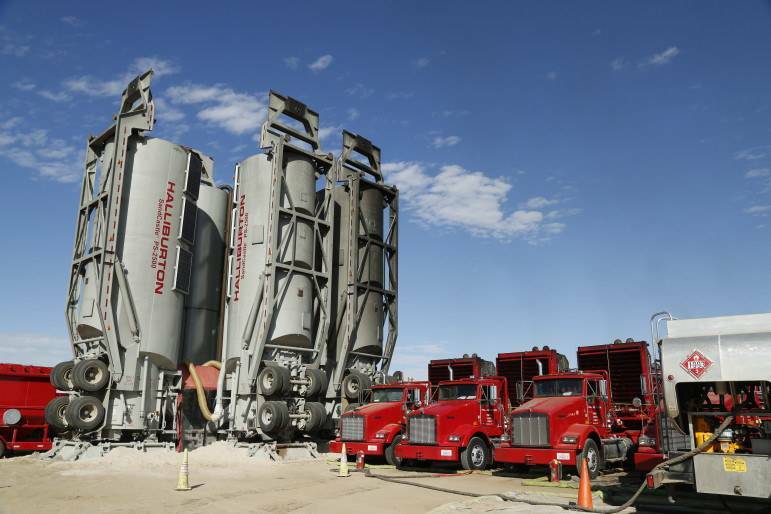 A couple of years ago, his trucks were sub-contracted to haul oil by a larger trucking company. Then that company, Montana Midwest, went bankrupt, still owing Friest more than $200,000. Oilfield bankruptcies of companies large and small have been surging as prices remain at their lowest levels in a decade or more. But it’s not the only way a worker can be left underpaid. An Inside Energy analysis shows a growing number of oil workers are turning to the courts, saying they weren’t paid fairly even when times were good. With the exception of a couple weeks in November, 28-year-old oil driller Kody Armajo has been out of work for a year. He has returned home to live with his parents in Riverton, Wyo. Kody Armajo still hopes to find another job in the oilfield, believing it’s one of his best options without a college degree.Leigh Paterson / Inside Energy Then one day last winter Armajo received a letter about a class action lawsuit, saying that his former employer, Precision Drilling, didn’t pay him enough overtime when he worked for them. He was eventually awarded $6,000. “Yeah, I was way surprised, like what the heck is going on? I had no idea,” he said. As oil prices started dropping a year and a half ago, lawsuits like Armajo’s jumped in numbers. In Colorado, where he worked,there were nine times as many wage suits against oil and gas companies in 2015 as there were in 2010. In Texas, the biggest oil state, there were nearly 10 times as many lawsuits. Federal records show oil and gas companies are among the top violators of wage laws – particularly in not paying overtime. The U.S. Department of Labor’s Wage and Hour Division was seeing sufficient problems with apparent violations by 2012 to specifically investigate the oil and gas industry in some parts of the country. Since then, the office has recovered about $40 million dollars in unpaid wages. The biggest case her team has settled, by far, was against oilfield services giant Halliburton this past summer. In this case, the investigation found that Halliburton owed about a thousand workers a total of $18 million dollars. Gonzales believes not properly paying overtime is a conscious business decision for a lot of oil companies. The Department of Labor has about 1,000 investigators nationwide to cover wage laws in every industry, according to a department spokesperson. That could mean a violator has minimal risk of getting caught by the government. 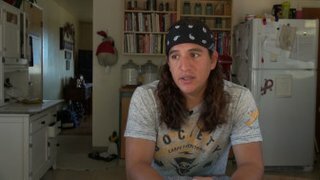 When workers decide to take matters into their own hands and sue their employer, Gonzales said, companies often pay out a fraction of what they saved. Inside Energy attempted numerous times over a period of months to get an oil company or industry representative to respond to the spike in wage-related lawsuits. All declined. Now, Bruce Friest, the trucker in North Dakota, finds himself on the wrong end of a wage claim. When he was left short $200,000 following his contractor’s bankruptcy, he couldn’t pay his workers right away. One employee eventually filed a claim with the State of North Dakota. With penalties and interest, Friest said that claim now totals $14,000. “Right now I don’t have anything close to $14,000, so I don’t know where these people think I’m going to come up with the money,” Friest said. His trucks are sold, his business is dissolved, and he said he’s now considering bankruptcy himself. Race in Colorado: Justice "A Sentenced Life"